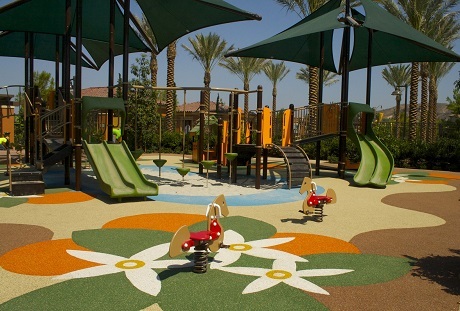 PolyStar TumbleTurf poured in place rubber playground surfaces offer a certified, resilient safety surfacing system which provides a fun, clean, and attractive environment for playgrounds. 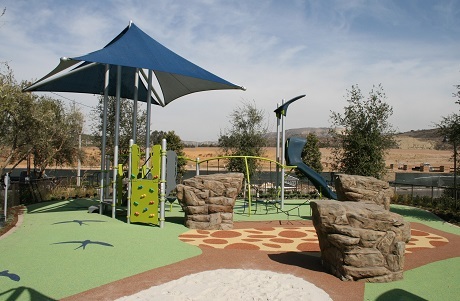 PolyStar playground safety surfaces are made from non-toxic pigmented virgin rubber on top of a thick, shock-absorbing layer of recycled rubber to create a cushioned surface that allows children to play safely. 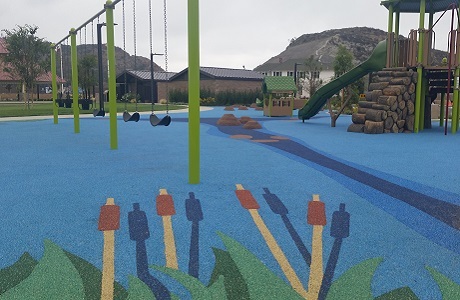 PolyStar TumbleTurf rubber playground safety surfacing is a two-layer system customized to provide safety for various age groups and fall heights. The top "wear" layer is composed of virgin colored rubber mixed with our proprietary binder and troweled evenly over the shock absorbing base layer. 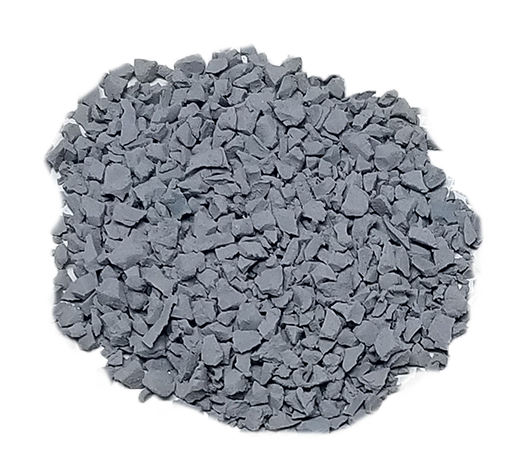 The base layer is made of shredded recycled rubber from post-consumer tires in varying thicknesses determined by the critical fall height (CFH) of the playground equipment. 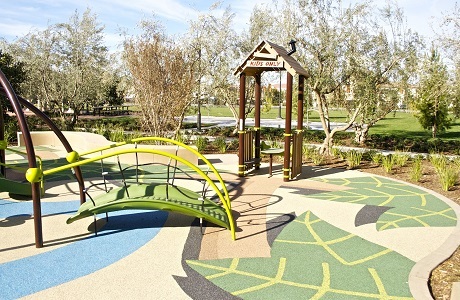 A variety of brilliant colors are available to create beautiful patterns and designs in the rubber playground surface. 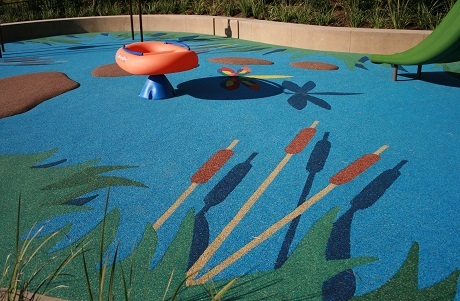 Once cured, the rubber playground safety surface is non-toxic and environmentally inert. 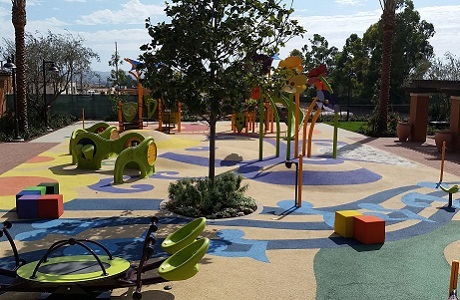 Our experience with installing poured rubber playground surfaces spans over 15 years with over 500,000 SF of rubber surfacing material sold and installed since we began business in the late 90's. 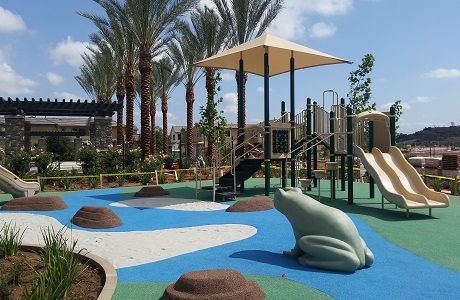 We have on call, trained and competent crews available across America who will ensure that the poured in place rubber playground surface is properly installed. Artwork is a craft that our installers have refined and perfected over the years. 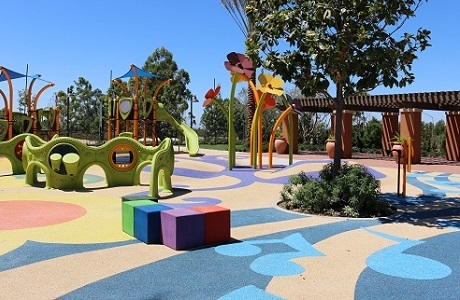 Intricate images, designs, and color blends can be incorporated into the wear layer of the rubber playground surface to compliment the color and theme of playgrounds and parks. 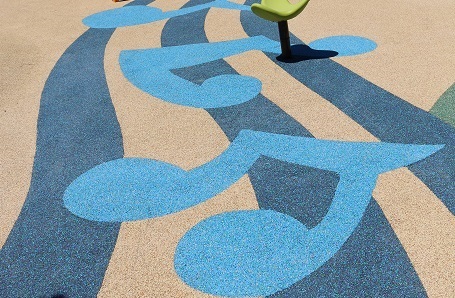 For specific purposes or design considerations, PolyStar poured in place playground safety surfacing can be installed over slopes, mounds, and contours to create both a visual and sensory experience for the children and patrons of your park, school, or daycare. Our installation crews are very capable of accomplishing any desired look or theme for our very particular clientele. 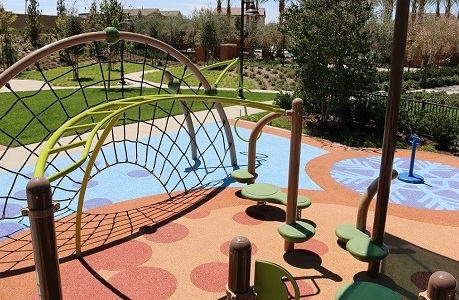 More than two dozen brilliant EPDM colors are available to help you create your dream playground surface. 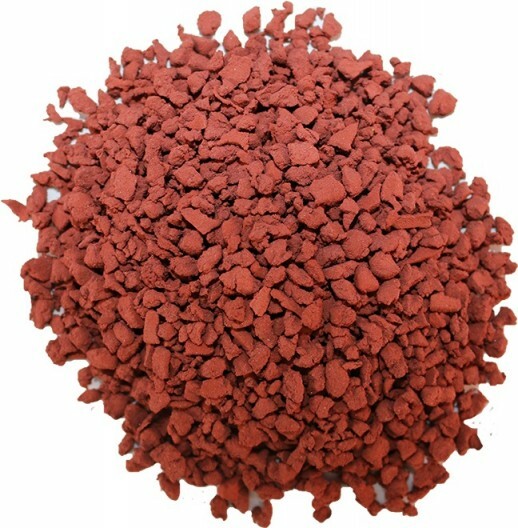 We are happy to help recommend color blends and combinations to achieve any desired look and feel. 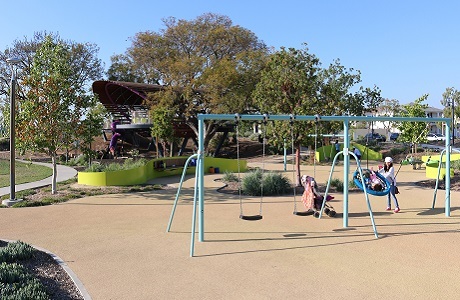 We are committed to providing the safest playground surfacing possible. PolyStar TumbleTurf meets ASTM critical fall heights and meets Gmax standards for head impact. Testing data for ASTM fall height requirements and ADA compliance is available upon request as needed. 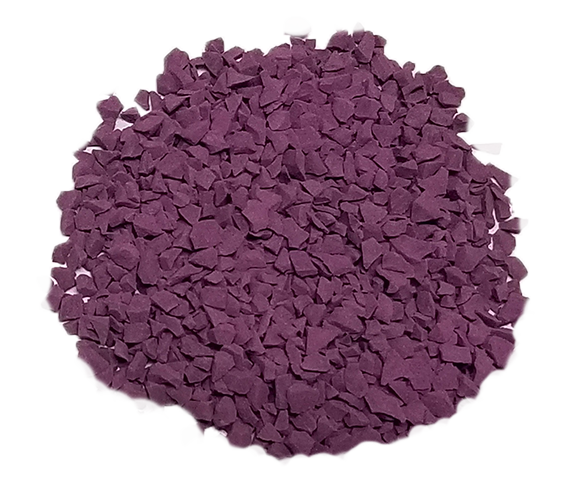 Our environmentally compatible technology provides multiple LEED credits and exceeds EPA requirements on heavy metal leaching. 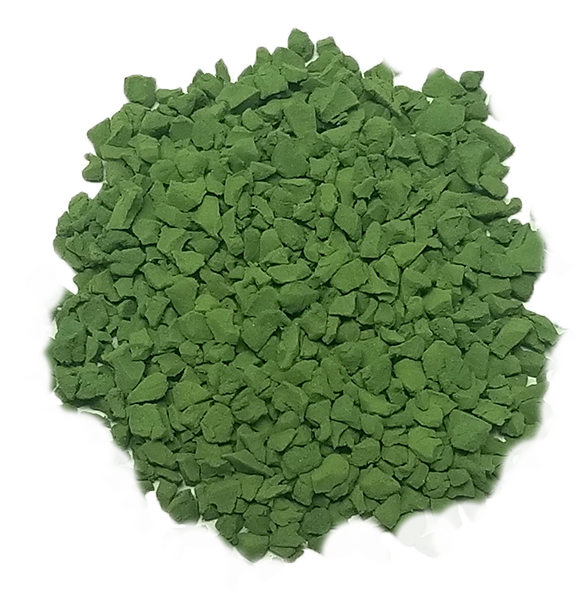 The base layer of PolyStar Tumbleturf contains 100% recycled post-consumer tires. 100% regionally obtained recycled tires are utilized in all California projects as well as wherever possible throughout the United States. 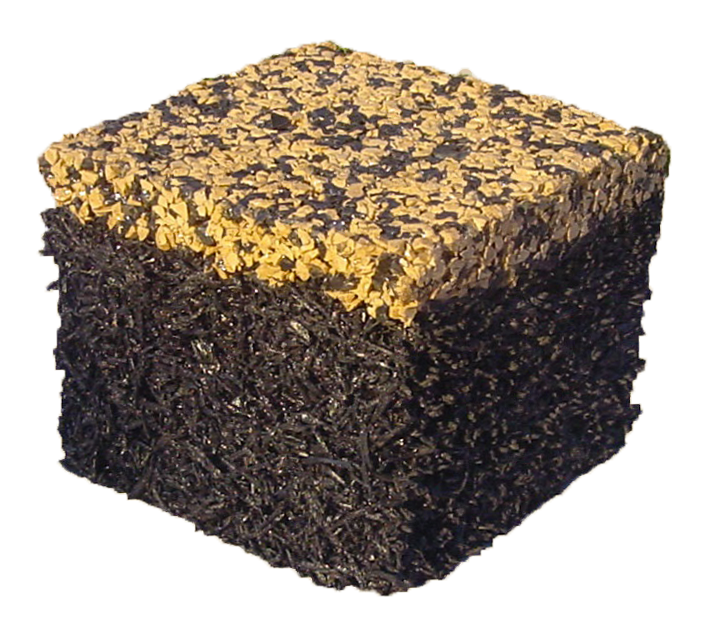 PolyStar systems are permeable, allowing rainwater to penetrate through rather than runoff as storm water. 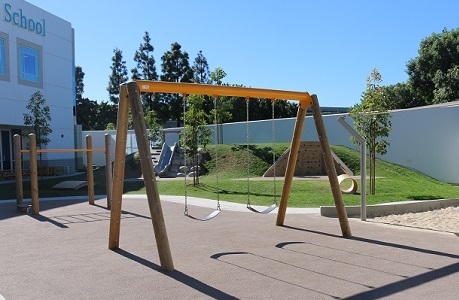 Regular maintenance is highly recommended to ensure a long life for your new rubber playground safety surfacing. Maintenance packages and materials are readily available. 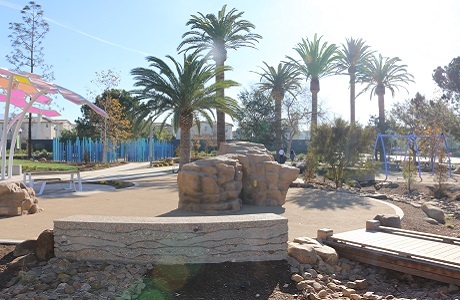 Please visit our Playground Maintenance Page for details.